Everyone goes through a point in their lives where they want a little change. When it comes to our homes, this means looking into some redesigning and remodeling. It gives your home a fresh new look and lets you completely change the atmosphere of your living environment without even having to move. 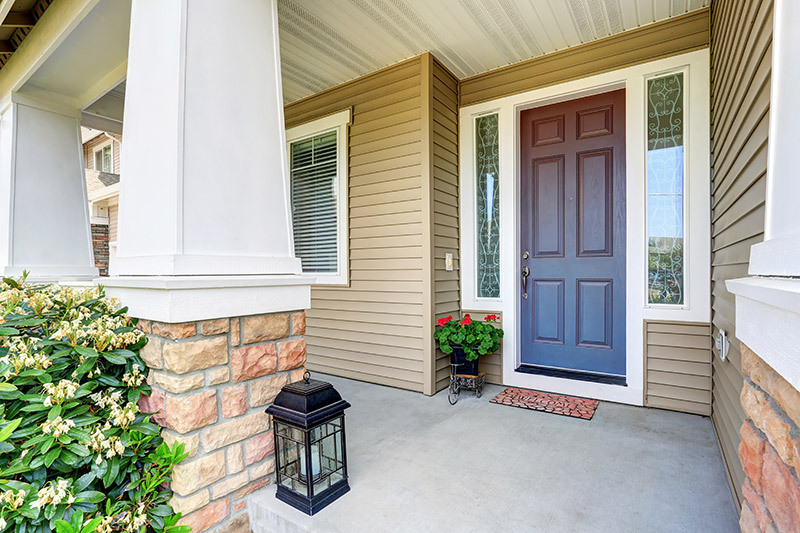 A common improvement homeowners choose is a window makeover. This can even be a great way for you to make your new home feel like you by allowing you to take some creative direction. Unfortunately, when people hear the words “home remodeling,” large expenses and heavy construction is normally what comes to mind. What many people don’t realize is just how easy it is to completely transform the look of your home by just making a minor adjustment. Namely, one big thing to consider would be to give your windows a makeover. Windows have a great impact on your living space. They dictate everything from the style of your home to the type of natural lighting you’ll get. Windows come in all different shapes, sizes and models. You’d be surprised to learn just how much changing your windows can completely transform your room. Better yet, renovations can be easy and may even be more inexpensive than other renovation options. 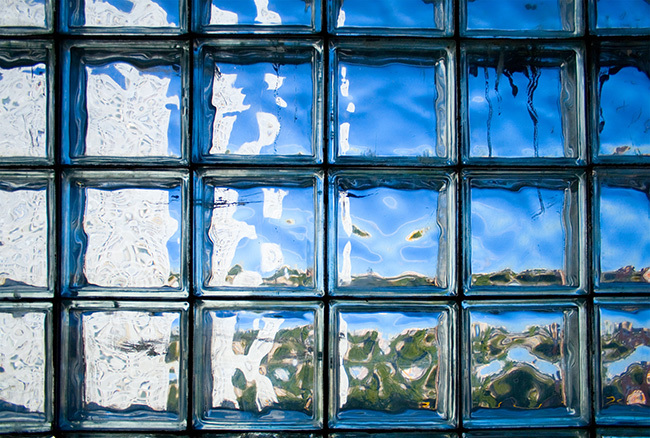 It may be tempting to jump towards a nice stained-glass or intricately shaped window, but you may want to consider if you’re sacrificing too much in terms of function. While windows do hold a sense of decor, they’re also meant to bring in natural light and fresh air. Natural light has even been proved to increase mood and productivity. You may want to make sure that your window will still allow for enough natural light/fresh air in. This is especially true if you’re renovating bedrooms, kitchens and family rooms. In frequently visited rooms, you should be able to clearly see during the day without the need for artificial lighting. Is This a Good Time for Renovation? Especially if you’re looking to make a more drastic change during your window renovation, you may want to consider whether or not it’s a good time to try to transform your home. 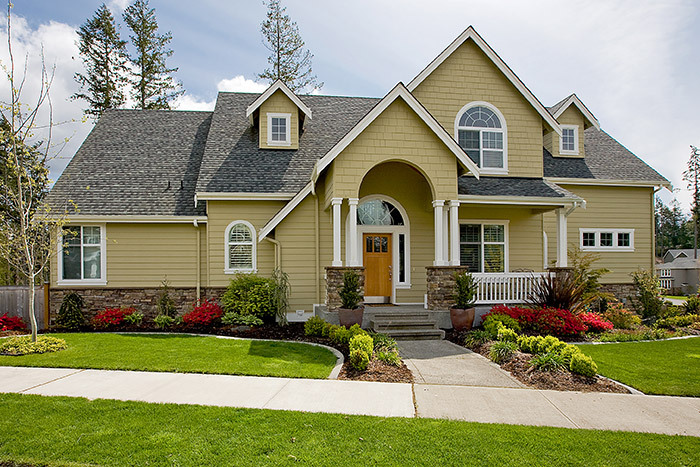 Switching out your windows may take some time, although the process often only take just a few hours, you’re going to want to have the best weather possible. 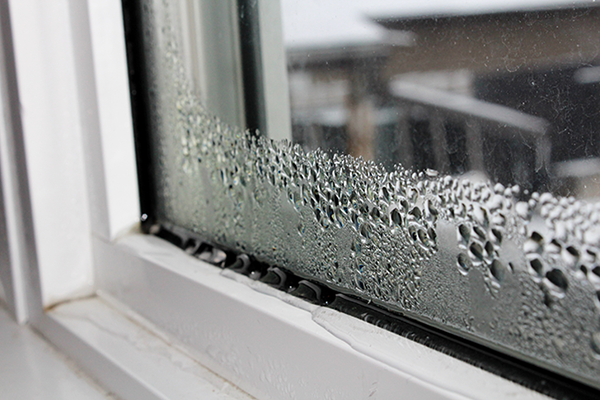 If it’s very cold or constantly raining it may not be a great idea to keep your home exposed against the elements. Try your best to find a time when it’s dry and the weather is fair. It’s possible to do it in harsher conditions, but it’s much easier to avoid this. However, when you choose Feldco, there’s never a bad time for window replacement. We’re available all year long – get a free quote now! Now that you’ve planned everything out, it’s a good time for you to start thinking about witch type of window you want. Each have their own unique charms and benefits. Try to keep all of our tips in mind when making your decision. This type of window is classic for an American household. These windows slide up vertically and some even incorporate weights. They don’t protrude in either direction and are pretty sturdy. Double hung windows don’t stick out in any direction, so if you suffer from a lot of wind or want to put it in an area where you don’t have space for a window to swing open – these can be perfect for you! Imagine taking a double-hung window and placing it on it’s side. These windows aren’t as common but are very fashionable. They include one or more functioning window panels that allow you to slide the window horizontally. Sliding windows are also very easy to operate. They’re often found above sinks and other hard to reach areas. 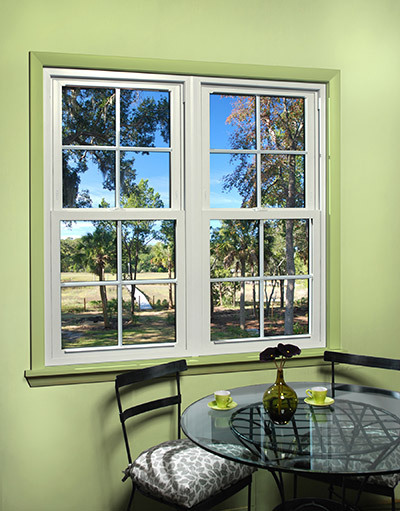 Casement windows come in all different sizes, but are generally tall, large windows. These windows allow for a lot of light to come through and can swing open at all different angles to allow for many different types of ventilation. These windows are rather popular in European countries but have a modern fling that is bringing them over to the states. Bay and bow windows are every interior designer’s dream. 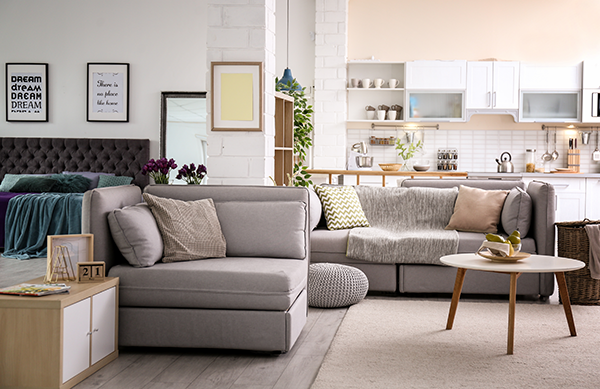 They’re gorgeous and functional, providing the perfect nook for any living space. They provide excellent lighting and ventilation as well. Bay and bow windows are made up of different combinations of windows. Bay windows have a picture window in the center with double hung or casement windows on either side. 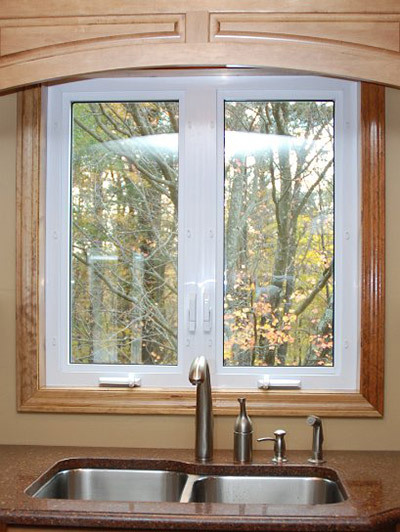 Bow windows consist of 3-5 windows and can be made up of any combination of double hung, casement or picture windows. 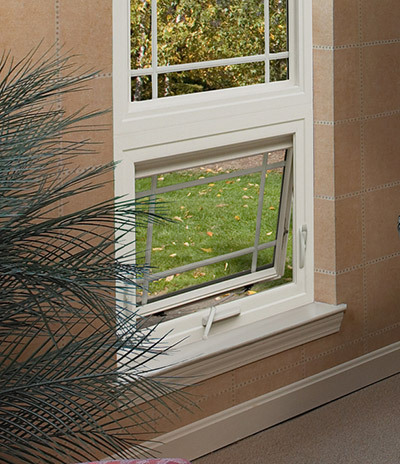 These small, hinged windows open outward to allow airflow from the left or right and bottom. These compact windows are great if you have a very tight space, but are best left to be alongside the top or bottom of a window. 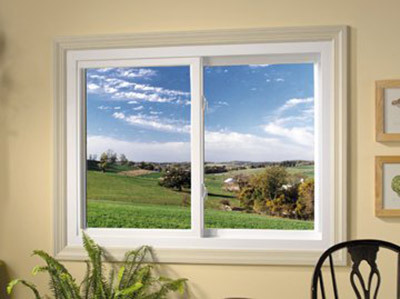 Awning windows are especially good to add some ventilation to a room full of stationary windows. Also referred to as floor-to-ceiling windows, they make for the ultimate view and perfect way to let light into any room. Although picture windows are inoperable (and provide no ventilation on their own), they’re beautiful and make any room seem more spacious. 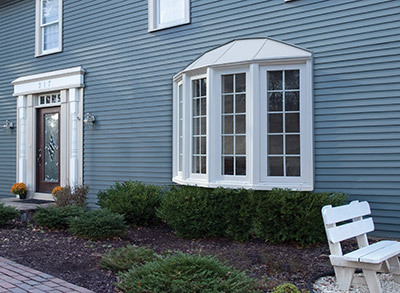 They can easily be paired with awning, casement or double hung windows. 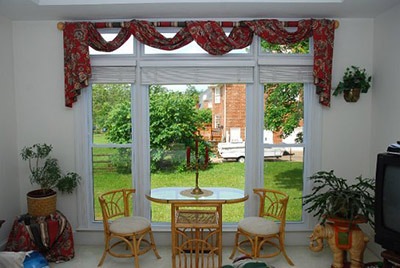 Windows make a huge difference to the interior design of your room whether you realize it or not. It controls everything from how much fresh air your get all the way to the scenery and lighting a room has. You would be surprised to see how much you can transform a room with just a simple window change. Get a free quote from Feldco today so you can get started on your window replacement project!